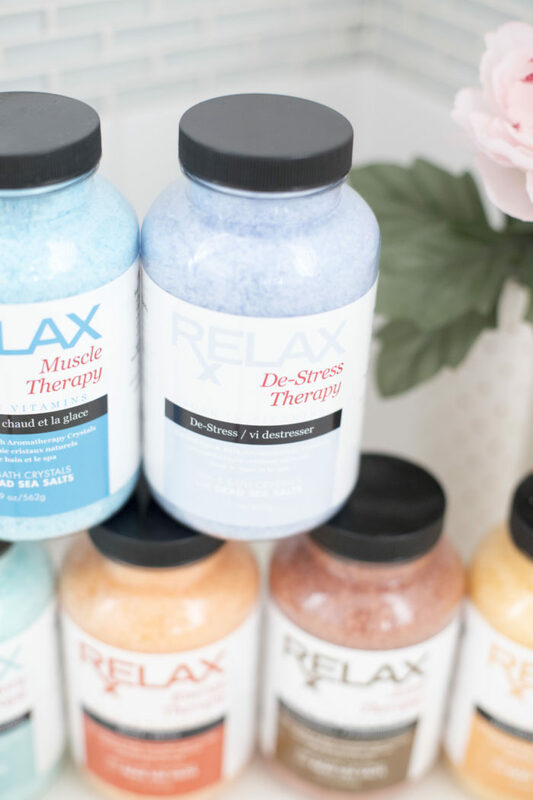 My Favorite Way to Treat Myself || Relax and Unwind! When I’m having an exhausting day, which, let’s be honest, is every day (I’m looking at you, twin 1.5-year-olds! ), I love picturing myself taking a nice, warm bath at night after the babies go to bed. It’s surprising how much better I feel after I envision that. I think to myself, “work hard and have fun during the day, then I get to relax at night.” It makes a big difference to envision myself in a nice, warm tub. I LOVE taking baths. They feel so indulgent and luxurious. I turn the lights down low, and fill up the tub with some bubble bath, a bath bomb or bath salts. Sometimes I turn on music, sometimes I read a book, and sometimes I watch The Crown on Netflix and pray that my laptop doesn’t slip into the tub with me. 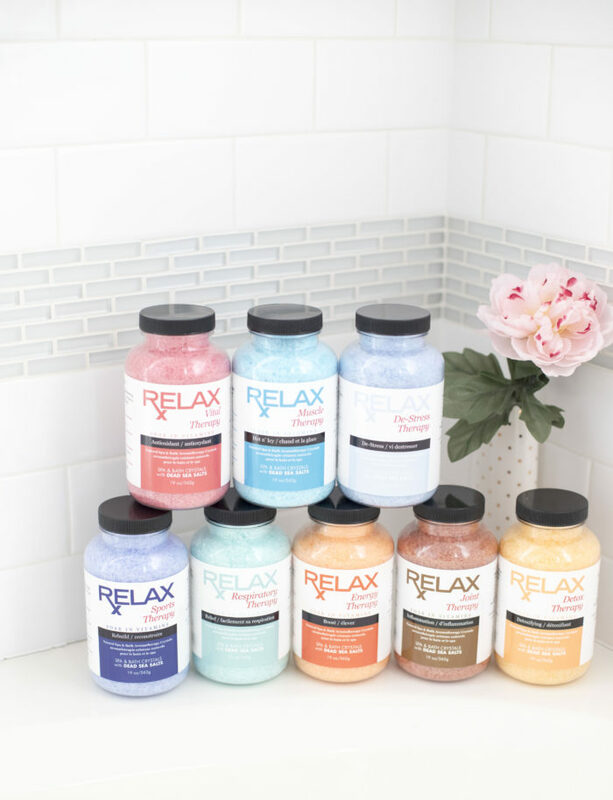 I recently discovered these bath salts from Relax Spa and Bath and I am HOOKED. Treating myself and taking time for me in such a busy, hectic world is really, really important to me. It’s easy to get swept up in t0-do lists and anxiety, so taking time to intentionally take a break and pamper myself is so, so important. I also like that this is a way to treat myself that isn’t food. It’s a way to pamper myself and I love it! 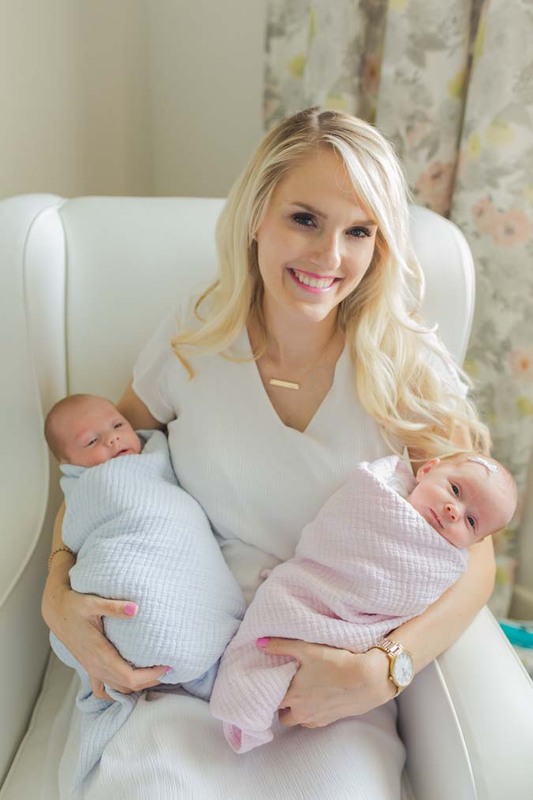 Buy 1 get one FREE with code JENICA! This is HUGE!!! These are the perfect gift for yourself or for anyone else. I’m literally going to stock up on these with this code because I think treating someone to some relaxing time is the perfect gift. It’s a permission to slow down for a bit. Sometimes we need a little nudge from someone else to tell us it’s okay to relax. 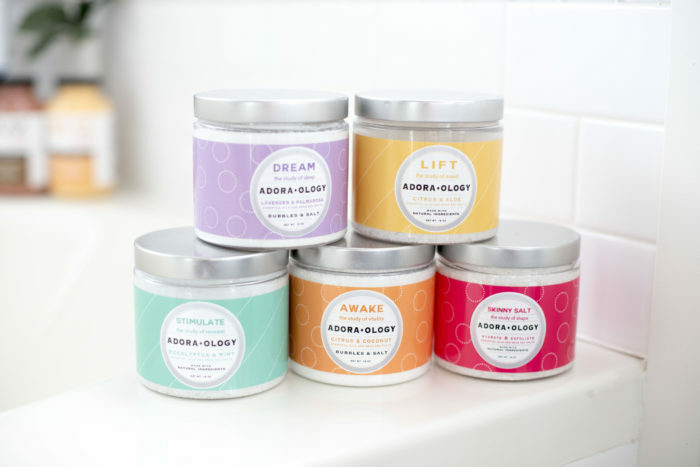 Their Adora-ology line has the best packaging and look so pretty sitting next to my tub. More importantly, they are super high quality and really help with exactly what they say they do. 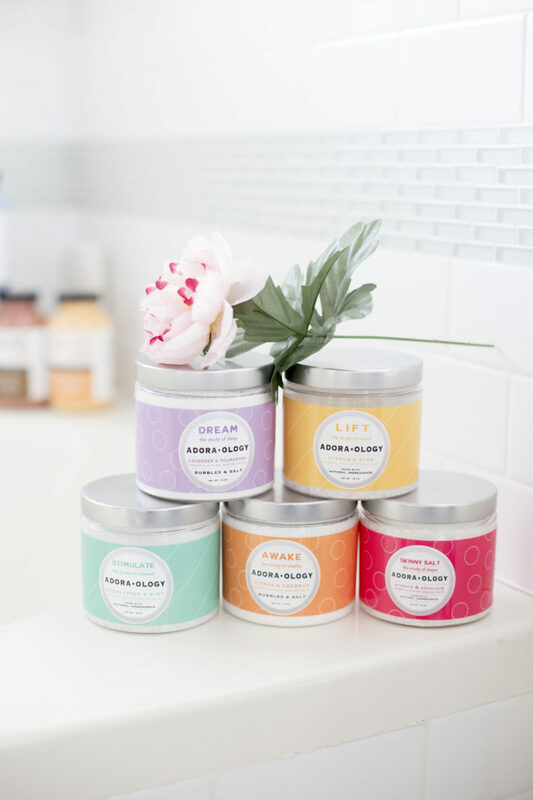 My favorites are the DREAM bubbles and salt which is perfect right before bedtime because it’s so relaxing, and the LIFT because citrus has always been able to naturally elevate my mood. 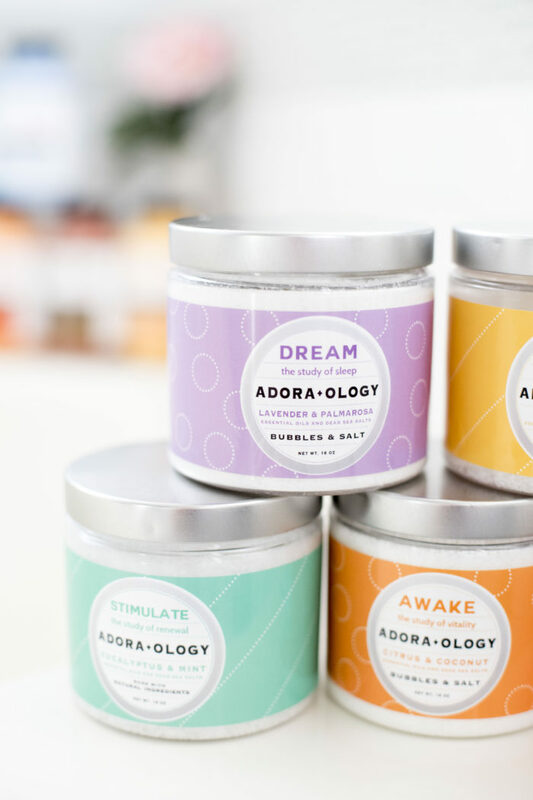 I love this package of all 5 in their Adora-ology line. 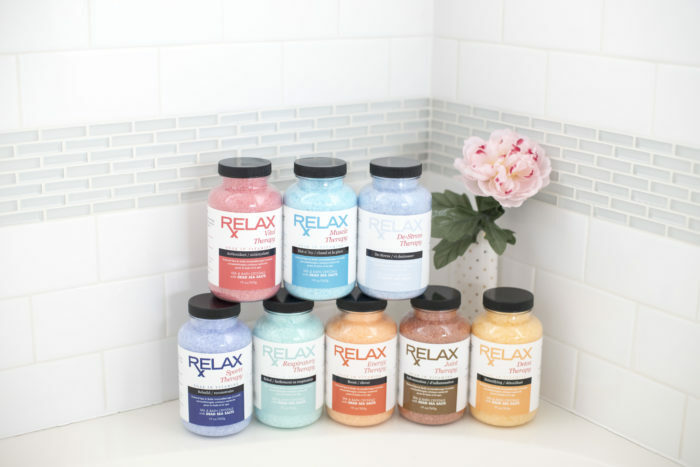 With the buy one get one free code (JENICA), that makes each bath salt only $6.79!! !Â They are nice, large containers. Tie a cute ribbon and note on it and it’s such a perfect gift!! I also really love their RX Therapy line. The package of all 8 is the best deal (only $4.68 EACH with code JENICA where you buy one and get one free). If you just want one, I would recommend the De-stress therapy. 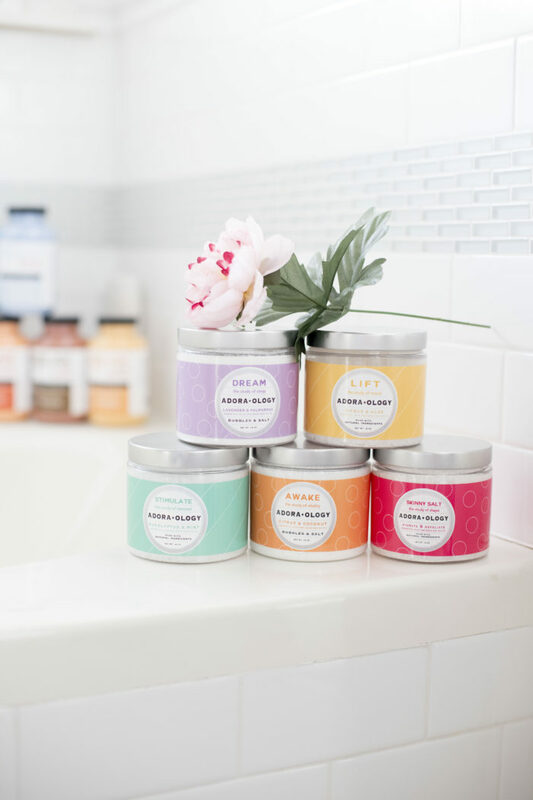 When your salts come, light a candle, grab a good back and RELAX!! You deserve it, mama.